It's day 3 of the Newton's Nook Holiday Release and today we have two more great Holiday Sets!! Stylish Stocking is a Fun set that also has a coordinating die set that cuts the images with a straight edge of a stitched edge. I created a fun card using the Snowfall Stencil we release on Monday as well. I created a background on a Piece of Watercolor paper with some Peacock Distress ink and then I added some White embossing paste with the stencil. Once it was dry I adhered it to a card base. I stamped each of the stockings in different shades of ink and used the dies to cut them out. I added some Clear Glitter Nuvo drops to the tops of the stockings for some sparkle and texture. The second set we are introducing is Reindeer Roll call... 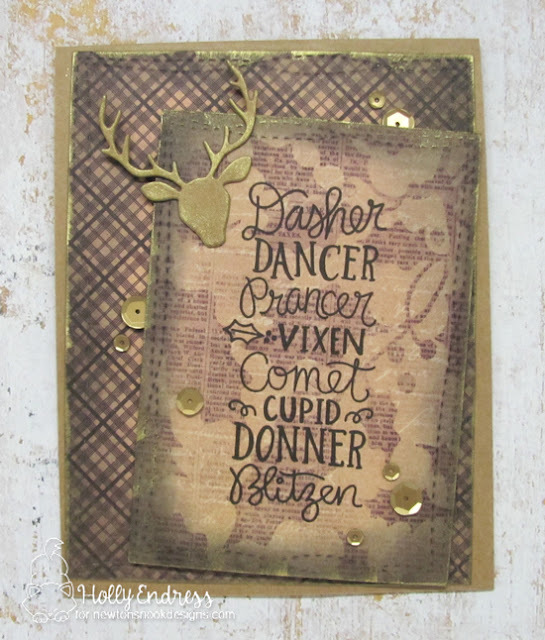 This is a great sentiment set!! I stamped the sentiment onto some paper pattern from my stash with Black ink and then I die cut a second piece a little larger. I adhered the larger panel to a Kraft card base after distressing the edges and adding some Gold ink. I added some gold ink to the sentiment panel as well. Then I die cut one of the stags from the Splendid Stags die set and Covered it with some Gold ink. Then I adhered it in the upper corner of the sentiment panel. I added some Matte Gold sequins to bring in a little more gold. 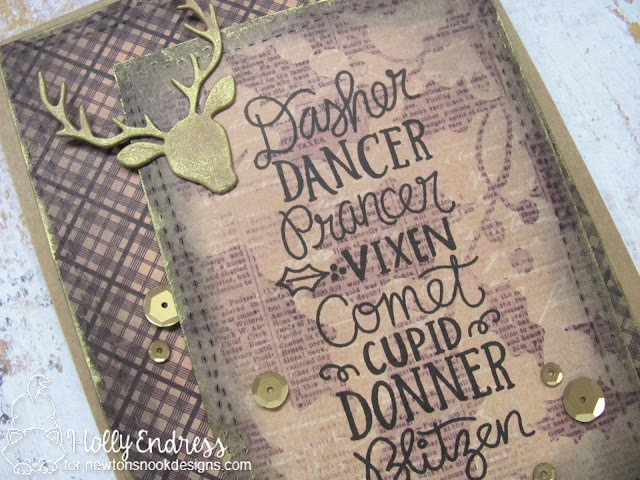 Would you like to win the “Stylist Stockings” or the “Reindeer Roll call” Stamp Set? WOW both of your cards are just amazing. The stockings and reindeer are just too cute. Both cards are so awesome! I LOVE the colors on the stocking one! So bright and pretty! And look of the reindeer card is quite the opposite! So rustic! I love your varied styles! 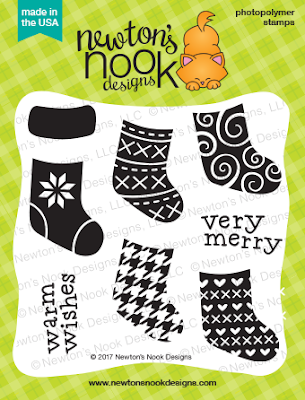 Cute stockings card--I like the snowflake background and the sparkly tops to the stockings. Great rustic look to the deer card. Such pretty projects! I love the sparkly stocking tops - I have to try some of those Nuvo drops sometime! And your stencil work is beautiful. I really like the golden elements of your distressed card as well. Beautiful cards. I love the more feminine color scheme of the stocking card and the more masculine feel to the 2nd one. Great cards! Love the sparkle you added to the stockings! 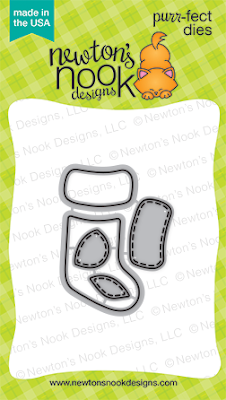 The stockings card is great. I love the sparkle. 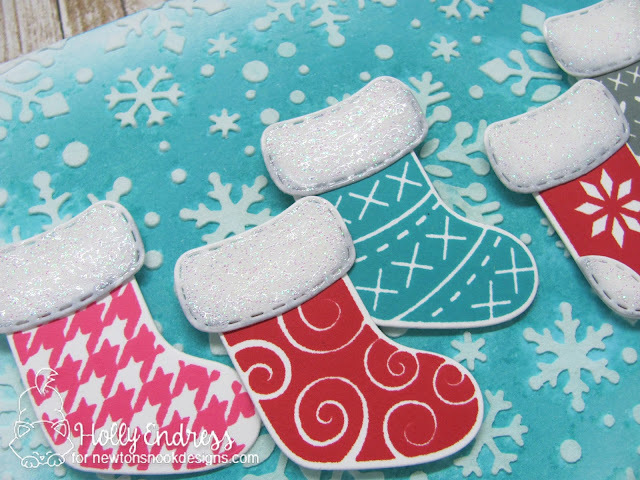 Love the color and the snowflake background on the stockings card! Nice cards! 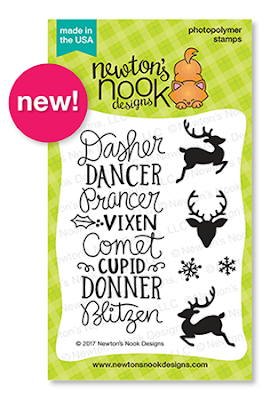 I especially love the reindeer card. It has a kind of shabby chic look to it. Love those pretty stockings! Awesome cards. I love the stocking card it is super cute! Fantastic cards! Love the look of the reindeer card and the stocking card is adorable! Your cards are just great !